As the population ages, there is more interest in bariatric surgery for older patients. There are controversies regarding the safety and effectiveness of surgical weight loss in this population. The aim of this study was to compare the safety and efficacy of Roux-en-Y gastric bypass in patients over the age of 60 years with younger patients. The available literature was searched for eligible studies up to February 2018. Inclusion criteria were reports on mortality, morbidity, percentage excess weight loss (%EWL), remission of diabetes, remission of hypertension, and remission of obstructive sleep apnea. Random effects meta-analyses were performed. The initial search yielded 2000 references. The final meta-analysis involved nine studies and revealed significant differences in mortality (odds ratio 4.38, 95% confidence interval [1.25, 15.31], p = 0.02), morbidity (OR 1.88, CI [1.07, 3.30], p = 0.03), %EWL (mean difference − 5.86, 95% CI [− 9.15, − 2.56], p < 0.001), and remission of comorbidities. Higher mortality and morbidity were found in the group of older patients. The analysis suggested lower effectiveness of Roux-en-Y gastric bypass for weight loss and improvement in comorbidity in older patients when compared with younger patients. In the next decade, 25% of Europeans will reach 60 years of age or older, and the prevalence of obesity in this group will range from 20 to 30%. The number of patients qualified for bariatric surgery will increase concomitantly . However, there are controversies regarding the safety and effectiveness of surgical weight loss in older patients. Roux-en-Y gastric bypass (RYGB) is one of the most popular bariatric procedures [2, 3]. Its weight loss effect and impact on obesity-related diseases is established in the literature . While studies regarding the feasibility of RYGB in older patients are available, there still are no clear guidelines on the optimal procedure for this age category [5, 6]. The main goal of this study was to compare the safety and efficacy of RYGB in patients over the age of 60 with younger patients. 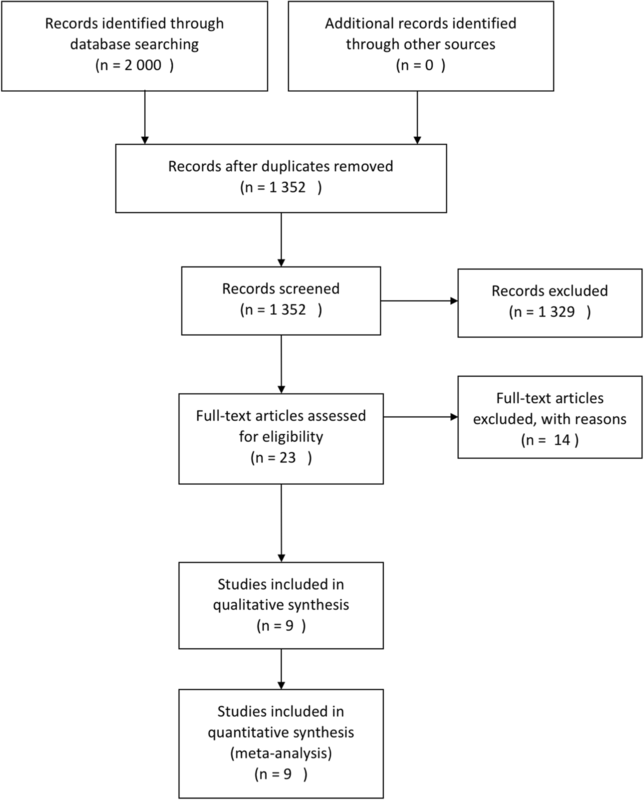 A systematic search of the Pubmed, Scopus, Embase, Medline, and Google Scholar electronic databases was conducted to identify all eligible studies that compared RYGB in patients aged 60 years or above with younger ones. The World Health Organization defines 65 years as the cut-off age for older patients. However, the 60 years’ criterion was chosen because it was used in the majority of bariatric studies . Search terms included “gastric bypass,” “old,” “elderly,” “obesity,” and “obese,” using the Boolean operators “AND” and “OR.” Restrictions were as follows: only English language studies, human subjects, and the availability of full-text reports. The most recent search was performed on February 1, 2018. Studies eligible for further analysis had to meet the following criteria: (1) comparison of percentage excess weight loss (%EWL) between older and younger patients, (2) objective evaluation of early complications and mortality within 30 days after operation, (3) remission of type 2 diabetes mellitus (T2DM), (4) remission of obstructive sleep apnea (OSA) syndrome, and (5) remission of hypertension. Studies were excluded when they (1) lacked comparative data, (2) lacked primary outcomes or had insufficient data for analysis, or (3) described procedures other than RYGB. Primary outcomes of interest were as follows: overall morbidity and mortality rates and %EWL. Secondary outcomes of interest were remission of diabetes, hypertension, or OSA as well as length of hospital stay. All references were reviewed and evaluated by two researchers. In case of any doubts about eligibility for inclusion, an attempt was made to reach consensus between the two researchers. Conflicts were resolved by discussion with a third researcher. Data from included studies were extracted independently. Only full-length articles were eligible for extraction. When available, the following data were extracted: author, country, date of publication, number of older and younger patients, mean age, preoperative BMI and comorbidities, gender distribution, %EWL, length of hospital stay (LOS), perioperative complications, and mortality. The Newcastle-Ottawa Scale was used to assess the quality of included studies (Table 1). Each study was scored from zero to nine points, and studies achieving at least six points were considered high quality. The study was performed according to the Preferred Reporting Items for Systematic Reviews and Meta-Analyses (PRISMA) guidelines consensus statement . Review Manager (RevMan), [Computer program]. Version 5.3. Copenhagen: The Nordic Cochrane Centre, The Cochrane Collaboration 2014 was used for statistical analysis. For continuous data (%EWL and LOS), mean difference (MD) with 95% confidence interval (CI) was used, while for dichotomous variables (remission of T2DM, OSA, hypertension, and perioperative mortality and morbidity), odds ratio (OR) with 95% CI was obtained. A random effects model was used for calculating the pooled estimates. A two-sided p < 0.05 was regarded as statistically significant. To assess heterogeneity, the inconsistency test (I2) was performed. Inconsistency was defined as significant for I2 > 50% . To identify the reason for high heterogeneity, subgroup analysis was conducted when possible. We chose the p < 0.1 as statistically significant for the inconsistency test. Sensitivity analysis was performed to determine whether included studies were robust. Begg’s and Egger’s tests were not conducted to assess risk of bias, because studies show that these tests are reliable only for analyses including at least ten studies . An initial reference search yielded 2000 articles. After removing 648 duplicates, 1352 articles were evaluated through titles and abstracts; 23 papers were suitable for full-text review. One reviewer mailed inquiries to corresponding authors of two eligible studies to request unpublished data; however, no response was received [6, 18]. Ultimately, nine studies were selected for data extraction, with a combined total of 4391 patients (366 in the older group, 4025 in the younger group). Four of the included studies were case-matched [5, 8, 12, 13]. A flowchart of the analyzed studies is presented in Fig. 1. According to the Newcastle-Ottawa Scale, the quality of these studies was moderate, with the majority scoring at least six points. Baseline study information is presented in Table 1. Three studies included patients after open or laparoscopic RYGB (LRYGB). Five studies included only patients after laparoscopic approach. To analyze mortality and morbidity, patients were divided into subgroups according to surgical approach: (1) LRYGB and RYGB and (2) LRYGB. The rate of complications during the first 30 days after surgery was reported in eight studies. In the LRYGB subgroup, a significant difference was recorded between two cohorts (OR 2.07, CI [1.00, 4.28], p = 0.05), and in the second subgroup, the difference was not statistically significant (OR 1.64, CI [0.57, 4.74], p = 0.36). Overall, there were more early complications in older patients (OR 1.88, CI [1.07, 3.30], p = 0.03) (Fig. 2). Mortality rate during the 30-day observation was obtained from seven studies. The overall mortality was significantly higher in older patients (OR 4.38, 95% CI [1.25, 15.31], p = 0.02). However, subgroup analysis did not find any difference in mortality between older and younger ones (LRYGB subgroup: OR 6.18, 95% CI [0.76, 50.49], p = 0.18; LRYGB and RYGB subgroup: OR 3.40, 95% CI [0.58, 20.03], p = 0.18) (Fig. 3). The %EWL was reported in only three studies; each of them reported a different follow-up interval. In a study by Dunkle-Blatter et al., %EWL was assessed at least 12 months postsurgery . In research reported by Montastier et al., %EWL was recorded after 2 years . Thereaux et al. documented a 3-year follow-up interval . Because of the limited number of studies, we decided to include all of them in the analysis. This analysis showed a significantly lower %EWL in the older population (MD − 5.86, 95% CI [− 9.15, − 2.56], p < 0.001). The heterogeneity was very low (Fig. 4). T2DM remission was reported in four studies. However, some of them presented different definitions of remission. Two studies defined remission as HbA1c < 6.0% without medications, and in the other two studies, the criterion was defined as HbA1c < 6.5%. For this reason, subgroup analysis was performed. There were no significant differences in the analyzed subgroups (HbA1c < 6.0% without medications: OR 0.54, 95% CI [0.27, 1.08], p = 0.08; HbA1c < 6.5%: OR 0.64, 95% CI [0.29, 1.42], p = 0.27). Yet, the overall analysis showed that patients older than 60 years experienced significantly lower remission of T2DM than younger patients (OR 0.64, 95% CI [0.42, 0.97], p = 0.04). The heterogeneity was very low (Fig. 5). Data on hypertension remission were extracted from three studies. The remission criteria included systolic pressure < 140 mmHg without medications in research performed by Dunkle-Blatter et al. and blood pressure < 140/90 mmHg without medications in Montastier et al. and Thereaux et al. [8, 12, 14]. Analysis of extracted data showed a significantly lower remission rate in the older patients (OR 0.33, 95% CI [0.14, 0.74], p = 0.007). (Fig. 6) The heterogeneity was very high (I2 = 61%, p = 0.08). Sensitivity analysis was performed, indicating that the study conducted by Dunkle-Blatter et al. was responsible for the inconsistency . This was caused by (1) shorter follow-up (at least 12 months in the Dunkle-Blatter et al. study, 24 months in the Montastier et al. study, and 36 months in the Thereaux et al. 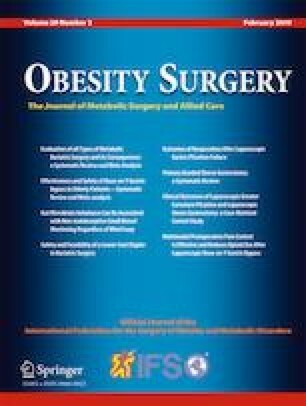 study) and (2) significantly higher preoperative BMI in younger patients (mean BMI 51.1 in the Dunkle-Blatter et al. report, to BMI 43.8 in the Montastier et al. report, and BMI 47.3 in the Thereaux et al. study), as well as the type of operation (LRYGB in the Montastier et al. and Thereaux et al. articles, LRYGB and RYGB in the Dunkle-Blatter et al. article). After removing this publication from analysis, heterogeneity dropped to 0% (no heterogeneity), and the results remained significant (OR 0.21, 95% CI [0.10, 0.43], p < 0.0001). OSA remission was reported in three studies. All of these studies defined remission as a cessation of use of nighttime positive-pressure devices. The overall remission rate for OSA was lower in the older patients (OR 0.38, 95% CI [0.18, 0.80], p = 0.01) (Fig. 7). The heterogeneity was low. The LOS was reported in three studies. There were no significant differences (MD 0.44, 95% CI [− 0.51, 1.39], p = 0.37) and the heterogeneity was moderate I2 = 44% (Fig. 8). The quality of included studies was moderate. Studies have shown that the efficacy of bariatric surgery for weight loss and comorbidity improvement is excellent . More importantly, remarkable improvement in quality of life is observed [19, 20]. The implementation of enhanced recovery after surgery for bariatric procedures allowed optimization of perioperative care . Because the population is aging, there is more interest in bariatric surgery for older patients, yet there are concerns regarding the safety of bariatric procedures in this population. There are no clearly defined guidelines concerning the indications for bariatric surgery in the older age group or recommendations regarding the type of bariatric procedure. This is the first systematic review of included studies comparing outcomes of RYGB in older and younger patients. The main findings show that age above 60 years is associated with higher overall mortality and morbidity. The wide 95% confidence interval (1.25–15.31) for mortality indicates the fragility of this result. Interestingly, when a subgroup analysis was done according to surgical approach, no difference in mortality was observed. However, the subgroup including only laparoscopic RYGB showed a tendency for higher incidence of peri-operative complications in older patients. The results are consistent with the recent report of the Metabolic and Bariatric Surgery Accreditation and Quality Improvement Program showing that older patients who undergo RYGB have an increased risk of peri-operative morbidity and mortality following laparoscopic bariatric surgery . Based on our systematic review, we recommend that patients aged 60 years and above be informed about the potentially higher risk of adverse events. The duration of surgery is a recognized risk factor for postoperative complications in laparoscopic bariatric surgeries . In our analysis, only three studies provided data regarding operating time. The study published by Robert et al. supports this thesis and showed that older patients had a longer operating time compared with the control group . Yet, in the study by van Nieuwenhove et al., no difference in operative time was noted, and Hallowell et al. demonstrated an extended surgery time in younger patients [7, 13]. Based on these results, it is difficult to make any reliable conclusion about the influence of the operative time on observed outcomes. Only three studies presented data on LOS [7, 12, 13]. Results suggest that there are no significant differences in LOS between both groups. Because of the low number of eligible studies, this finding has to be treated with caution and further studies are necessary. The main purpose of bariatric surgery is to reduce body weight and, what is more important, to achieve remission of or at least improvement in obesity-related diseases. Despite the fact that weight loss was found in the majority of studies, meta-analysis of all of them was not possible because of differences in reporting the weight loss. We analyzed only a few studies that presented weight loss as %EWL and included at least 1-year follow-up [8, 12, 14]. Findings showed that weight loss was significant in both groups, but LRYGB was less effective in older patients when compared with younger controls. This observation might be caused by the less active lifestyle that can be associated with advanced age. Other studies included in the review expressed weight loss as BMI reduction, percentage total weight loss (%TWL), or percentage of initial weight loss [9, 11, 13]. Peter et al. and Ritz et al. reported significantly lower weight loss in the older population [9, 11]. Only the report published by van Nieuwenhove et al. showed no difference in %TWL between younger and older patients . However, these results should not be interpreted universally, because of the variability in follow-up rate. This issue needs to be investigated further. We suggest the use of unified and recommended terms in the expression of weight loss in future studies. Not all studies reported data on remission of comorbidities. For the purpose of our analysis, we focused on articles reporting remission of hypertension, T2DM, or OSA. The studies showed improvement of comorbidities in both age groups; however, the overall remission rates for all considered comorbidities were significantly higher in younger patients. Based on our meta-analysis, we can assume that the metabolic effect is better in the population of patients younger than 60 years of age. Yet, this finding must be interpreted with caution because we were not able to provide any additional data on the severity of analyzed comorbidities. It is likely that there were differences between groups. Therefore, further studies on this topic are warranted. Our review has some limitations. First, the effectiveness of RYGB was measured using %EWL and comorbidity remission rates. We did not analyze quality of life. This issue should be explored in future studies. Second, most of the included studies did not consider the length of the alimentary and biliopancreatic loop. Third, few studies presented data after LRYGB and open RYGB collectively. Considering that the majority of RYGB procedures are currently performed laparoscopically, future analyses should perhaps select only minimally invasive cases [2, 3]. At the time of selecting our inclusion criteria and building our search strategy, surgical access was not limited. In addition, information on the surgeons’ experience and institutional volume were not available in the included studies. We did not find data about smokers among the study groups. These factors could be important confounders of the safety analysis. While higher morbidity and mortality were found in the older group, these consequences are still relatively low. The analysis suggests a lower effectiveness of RYGB in older compared with younger patients for weight loss and comorbidity improvement. However, the quality of included studies and reported data were limited. Therefore, well-designed trials are needed to fully establish the potential role of bariatric surgery in older patients. We thank Andrea Baird, MD, from Edanz Group, for editing a draft of this manuscript. For this type of study, formal consent is not required. Informed consent does not apply.